Taman Soekasada Ujung Karangasem or also known as Taman Soekasada is one of the most visited site in the east Bali . 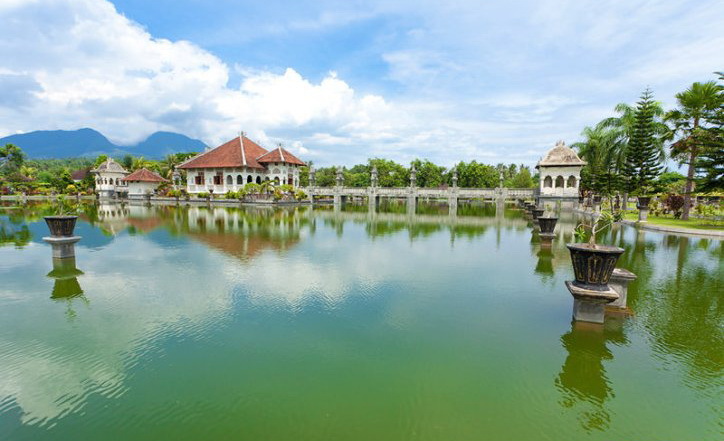 Taman Soekasada Ujung Karangasem is a Beautiful large garden with large pools around the park . Its a perfect place to visit if you are heading to east for day trip . 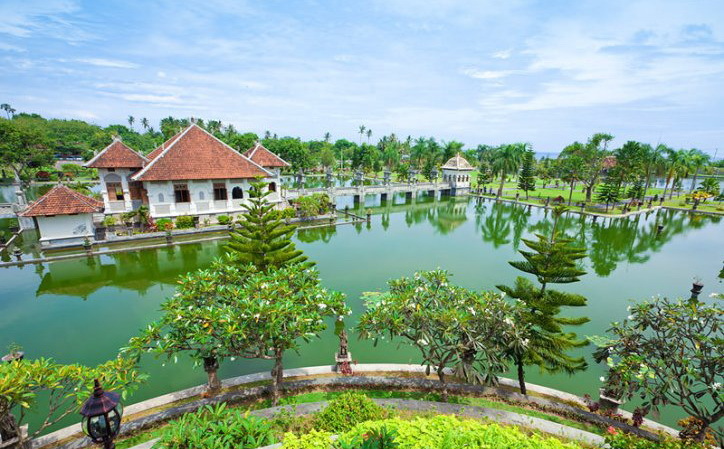 You won’t regret for having a great sightseeing around the garden . 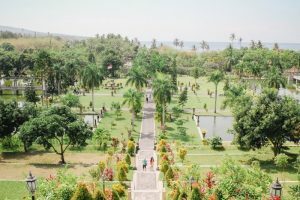 Indeed Taman Soekasada Ujung Karangasem that also known as Taman Soekasada is one of the favorite site to visit in the east especially by local visitors . The place is incredibly amazing and not so busy since the location is a bit far in the east Bali . 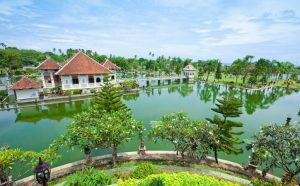 It will need around 3 hours drive from Bali international airport or Kuta area . Great scenic place and a way from tourist crowd especially if you visit during the afternoon time before sunset . Right in the southeast corner there’s a beach with coral rock and white shandy beach and also there are some fishing boat around the beach . If the sky is clear you would also able to see the greatest and the highest volcano in Bali , Agung Volcano . 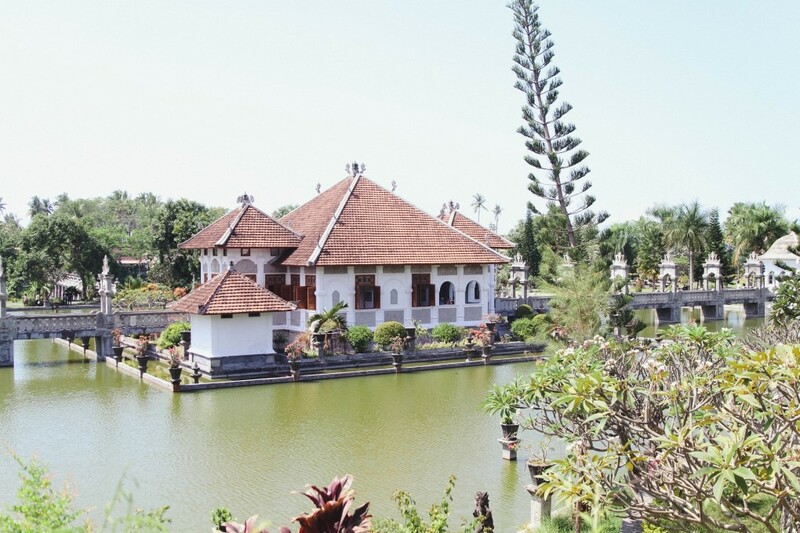 Taman Ujung architecture is a mix combination of Local Balinese architecture and European style . Inside the large garden there are three large pool that connected by the bridge , stylist and elegant long bridge . 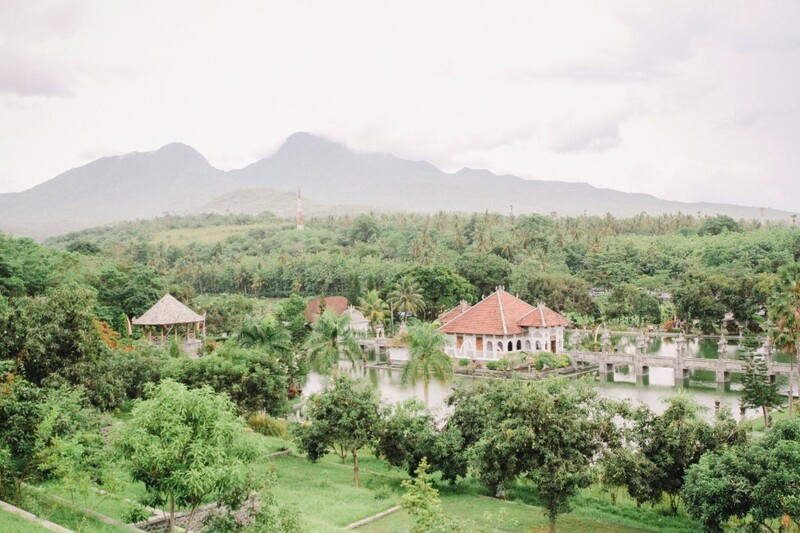 For local Balinese and also Indonesian people this place is a favorite place for pre – wedding photo . The word of Ujung is an Indonesian word that describe one place which is the location is in the edge or one last place from the area . 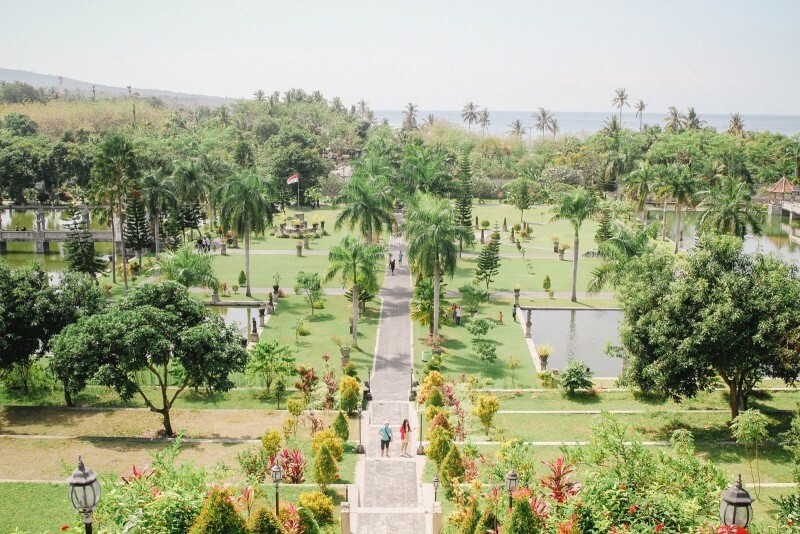 Indeed Ujung Garden is lies right in the corner of south east Bali . Very near the sea and in the north is amazing mountainous backdrop . 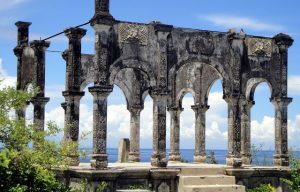 This great place were build in early 19 century by the King of Karangasem . 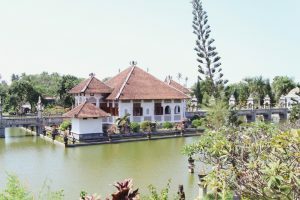 I Gusti Bagus Djelantik who also known as Agung Anglurah Karangasem . He is one of the most powerful king in Bali during this time . 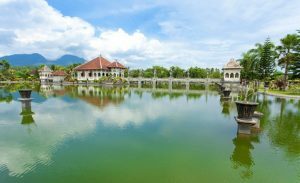 On 1921 during the Dutch colonial occupation , Ujung Garden officially open for public and as a great Water garden in the east . Beside the large pool and some historical sites , in the north there are some cottages . A resting cottages for some important kingdom visitors . 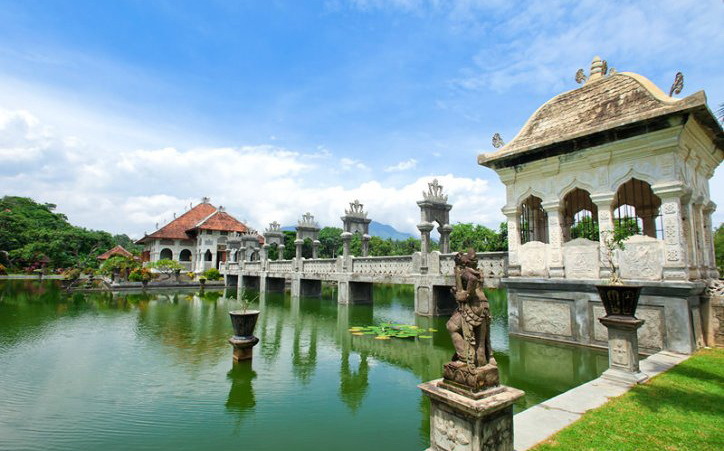 During the volcano eruption 1963 , Taman Ujung were almost destroyed by the hot ashes from the volcano . Another disaster is in 1976 , where the biggest earthquake in Bali Island . By some restoration throughout the decades made this place is become what we see right now .